In 1989, Barbara Ellison established Wild Turkey Farm in the lush, pristine hills of Woodside, California. Her lifelong love of horses and sport horse competition led to the acquisition of her first Holsteiner stallion in 1996, superstar Liocalyon. Today, the Oregon native has expanded the farm into a world-class breeding operation, now located in Wilsonville, Oregon, that boasts six extraordinary stallions, twenty-three broodmares, multiple young offspring and dozens of competitive shows horses. Barb is actively involved in every aspect of the farm from the day-to-day training of the youngsters to meticulously planning every detail of Wild Turkey Farm’s 220-acre facility. She is fueled by her strong passion for horses and a commitment to producing quality athletes with especially great minds. 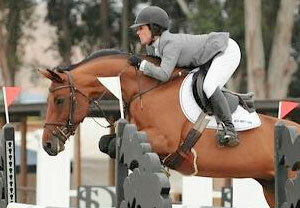 Kelli Johnston is a wonderful rider and a dedicated professional with a wealth of experience in all areas – training young horses, horse care and stable and equine management. Since joining Wild Turkey Farm in 2002, she can always be counted on to keep things running smoothly and she is excellent with our young horses. 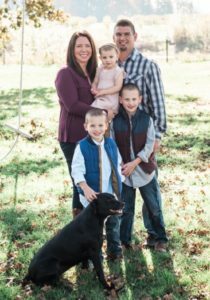 Kelli has worked with several well-run programs including Willow Tree Farm (Butch and Lu Thomas), Calvacade Farm (Mr. and Mrs. David Watson) and Excalibur Farms (Mr. Robert McNeil). Darlene received a B.S. from Oregon State University in 1992 with a major in Exercise Physiology and a minor in Animal Science. 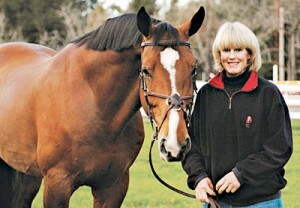 A very experienced horsewoman, she’s worked as an assistant to the well-known race horse trainer, Bob Baffert. She was the assistant breeding manager of Bryant Ranch in Yamhill, Oregon and most recently was the breeding/stable manager at Quailhurst USA in Sherwood, Oregon. In addition, she has worked with Dr. Lisa Metcalf at her Sherwood, Oregon, equine reproduction facility “Honahlee” since it’s opening in 1993. A former collegiate athlete (hurdles), interests include dressage, ballroom dancing, travel, scuba diving and culinary adventures. 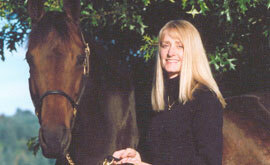 Darlene has also bred and raised Holsteiner horses for 17 years. Gina was born in Pocatello, Idaho, and moved to Oregon as a young girl. She has two children, Brook and Matt, and three grandsons, Cooper, Kade and Calder. Gina has been the working at Wild Turkey Farm since 2002. She manages the retirement side of the farm with lots of love for Wild Turkey’s senior citizens. From 1989-2005, Gina was self-employed as Federal/State mandated Drug and Alchohol testing Services professional, primarily in the commercial trucking industry. Gina is an avid barrel racer and she had the Reserve Champion Novice Versatility Mare, “Nike”, in 1998 and in 1999 she was Champion Novice Versatility Mare. Versatility consists of a variety of classes – barrels, poles, keyhole, and also performance, trail, reining and cow classes. In 1999 she went to National Show in Utah and was Novice Champion in Ranch Riding and Reserve Champion in Novice Reining. Brian joined Wild Turkey Farm in August of 2016 as Facilities Manager. With an extensive background in agriculture and irrigation from his many years of farming his family’s farm, Brian hails from Mount Angel, Oregon. Brian has been married to his wife Melinda for 9 years, and together they have three children, Logan (7), Brody (5), and Ella (2). When he’s not on the job, tending to Wild Turkey’s grounds, Brian keeps busy at home, maintaining and farming 40 acres of hazelnuts. In his spare time, he enjoys woodworking and spending time with his family.